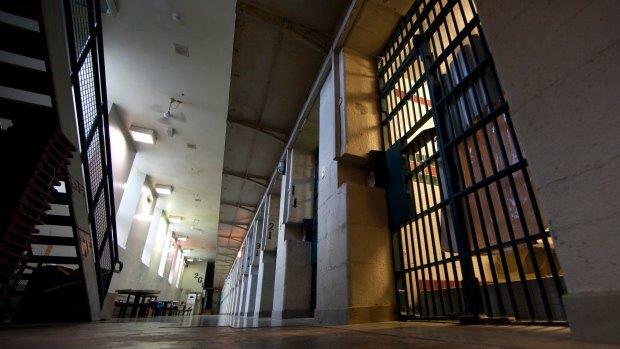 Over the last decade, overcrowding has become a major issue in the Saskatchewan prison system. The Saskatchewan prison population has grown by 51% since 2006. The current prisoner population is 1,792. Thus cells that were built for one prisoner are being double-bunked; and recreational, educational, and religious spaces have been converted into sleeping areas. 39% of Saskatchewan prisoners are on remand; that is they are in prison for offences they have not yet been convicted of. Many of those on remand are there because of administration of justice offences, sometimes called “breach offences”: violations of often petty, complicated, hard-to-keep court-imposed rules regarding minor problems such as the breaching of probation or bail conditions. In 2015, Saskatchewan police laid administration of justice charges at four times the national average. Remand contravenes the principle of innocent before being proven guilty. Studies show that there is a link between crowding inside prisons and violence. 80% of the youth in Saskatchewan prisons. 80 – 90% of the men in Saskatchewan prisons. Up to 90% of the women in Saskatchewan prisons. Saskatchewan has the highest incarceration rate for Indigenous people among the provinces. Are also overrepresented in remand and segregation. Are more likely to return to prison on revocation of parole, often for administrative reasons, not criminal violations. The overrepresentation of Indigenous people in Saskatchewan prisons is directly linked to systemic racism against Indigenous peoples, which is itself rooted in settler colonialism. Almost everywhere in Canadian society whiteness is an advantage and Indigenous identity a disadvantage. Scott also found that Saskatchewan judges are not applying the Gladue Principle, a 1999 Supreme Court ruling that requires Canadian judges to take into account, when sentencing, the historic and on-going injustices against Indigenous people, including the residential school system, the Sixties Scoop, and an underfunded child welfare system. Prisons are big business, especially during a prison boom. Some corporations are making a killing as the Saskatchewan prison system is increasingly privatized. Profit (not service) is their only value. As part of its prison privatization scheme, in 2015 the Wall government privatized prison food services, contracting out meal preparation to Compass Group, a for-profit, multi-national corporation. Now meals for Saskatchewan’s prison population are prepared in Alberta and trucked in frozen. Since food privatization took effect, prisoners at Regina’s Correctional Centre have gone on a number of hunger strikes, citing concerns about food quality and quantity. Nutritious food is an essential part of prisoner rehabilitation and brings lasting benefits to prisoners and society. The demographics of Saskatchewan’s prison population is 80% – 90% Indigenous. Its relationship to other colonial settler society polices using food to weaken and control Indigenous peoples: ►John A. Macdonald’s starvation policy, implemented in 1878, to force Indigenous peoples into submission ►inadequate diets at residential schools that undermined the health of generations of Indigenous children. The call of the Truth and Reconciliation Commission for reconciliation between Indigenous and non-Indigenous peoples. Brad Wall’s response to the prisoners’ concerns? “If you really don’t like the prison food, there’s one way to avoid it, and that’s don’t go to prison.” Wall would be well-advised to read the report of the Truth and Reconciliation Commission. Adequate food of reasonable quality is a Charter right, under section 12, banning cruel and unusual punishment. Everyone has the right to a standard of living adequate for the health and well-being of him[her]self and of his[her] family, including food, clothing, housing and medical care and necessary social services, and the right to security in the event of … lack of livelihood in circumstances beyond his [her]control. The demographics of Saskatchewan’s prison population: 80% – 90% Indigenous. The relationship between the privatization of phone services and other white colonial settler society policies aimed at disrupting Indigenous families and communities: ►the residential school system ►the 60s scoop ►the underfunding of First Nations child and family services. PRISONS ARE NOT THE ANSWER! Keeping someone locked up is hugely expensive. It costs $166 per day to keep a person in a provincial prison in Saskatchewan. That’s $60,590 per year, more than the total tuition and room and board for a university student. Currently there are 1,792 prisoners in Saskatchewan prisons, bringing the total annual bill to $108,577,280—money that comes out of the pockets of Saskatchewan citizens. Funding incarceration means that resources are cut from education, health care, social services, and job creation programs. If even half of the current amount spent annually on imprisoning people in Saskatchewan were to be invested in these areas, everyone in Saskatchewan would benefit enormously. Uphold the principle of innocent until proven guilty and find alternatives to remand incarceration for administration of justice offences. Also eliminate from the judicial system all petty, complicated, hard-to-keep bail and probation conditions. The vast majority of crimes committed in Saskatchewan are non-violent. High incarceration rates are bad for the economy. Incarceration doesn’t do most prisoners any good either. Indeed, it often does them terrible damage. There should be alternatives to incarceration for non-violent offences. Prisons destroy families. Parents are separated from their children. Even mothers and their infants are parted. In Saskatchewan, where the majority of prisoners are Indigenous, imprisonment is, in its impact on families, a continuation of the residential school system. Very little is done in Saskatchewan prisons to ensure prisoners can return to society. There is not much in the way of rehabilitation services. Education programs and skill training are at a minimum. Thus recidivism rates are very high. The number of prisoners with mental health problems continues to increase, yet the level of mental health services has remained the same or diminished. Some prisoners have substance use or addiction problems. There are very few drug rehabilitation programs in Saskatchewan prisons. There is little treatment for prisoners suffering from FASD. Incarceration does not address or solve the problems resulting from colonization, residential schools, and systemic racism. “Overcrowding hampering Canada’s prisons,” CBC, November 20, 2015. “Overcrowding plagues jails,” Leader-Post, December 9 2016. “Failings of failure to comply,” Leader-Post, December 24, 2016. “Saskatchewan government’s effort to reduce remand numbers welcome,” Leader-Post, January 13, 2017.